Understand your critical business processes and functions by easily and elegantly creating your Business Impact Analysis. Our tools are so easy to use your business managers will look forward to running their BIA! Derived from data already analysed and stored in your BIA's, your plans already have a foundation. 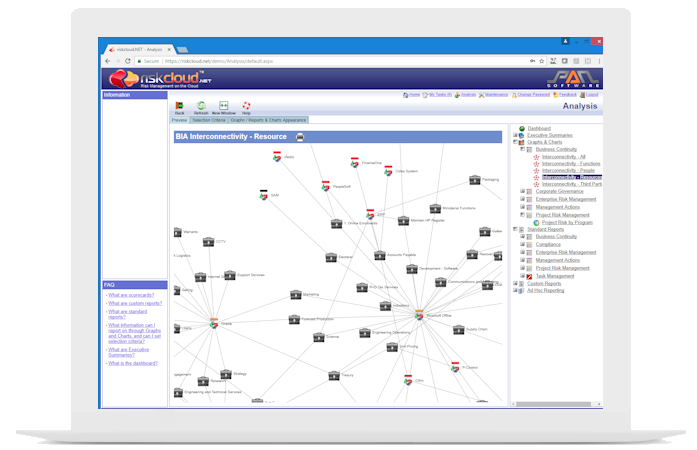 Intuitive drag-and-drop functionality allows users to easily create Business Continuity, Disaster Recovery and Crisis Management Plans. 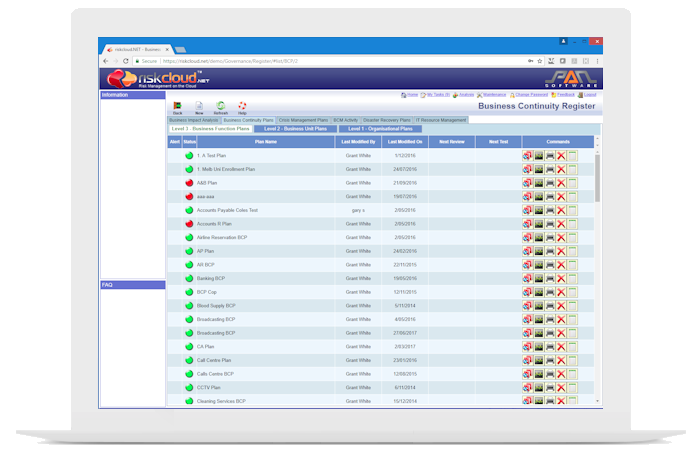 Plans are stored in a central repository and can be activated and accessed at anytime. 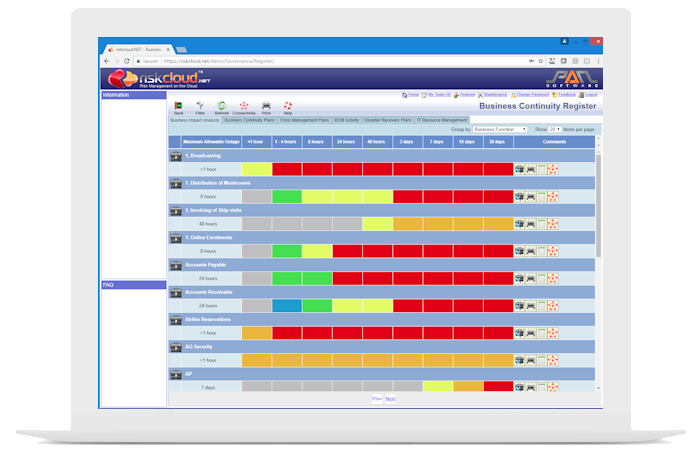 Sophisticated analytic tools allow you to analyse your BCM data to ensure organisational resilience. Understand Maximum Tolerable Outages, Recovery Point Objectives and Recovery Time Objectives at all levels in your organisation. 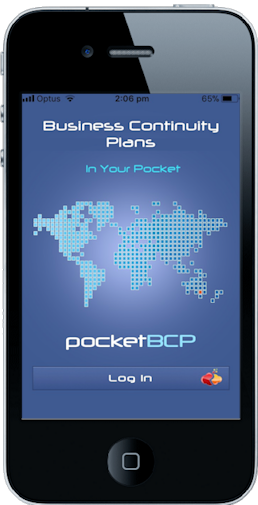 pocketBCP is our mobile App that allows all your managers to have access to all their plans 24/7. Even without connectivity your plans are always accessible. 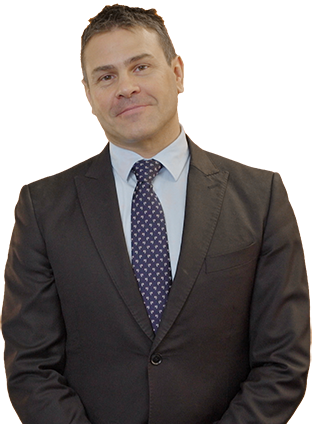 "I would recommend the software to anybody looking to move their risk management from static spreadsheets onto a dynamic system"